Sulawesi or as it used to be called the Celebes, is a well-known tourist destination for people around the globe because of its biodiversity and natural beauty. However, this island has been identified as one of the potential 'hotspots' for zoonoses and new emerging infectious diseases (EID) in Indonesia. In Sulawesi people interact closely with wildlife as part of their culture. Consumption of bush meat is a common activity among Sulawesi people, which is a potential risk factor for the "spill over" of wildlife diseases to humans. This is one of the reasons why some districts in Sulawesi were considered as potential pilot districts for the expansion of the FAO One Health-focused EID and zoonoses prevention and control programme. Its connectivity to other countries in East and South East Asia is another reason. “Now, there is a new direct air route from Manado, Sulawesi to Beijing, China. Moreover, the position of this island directly adjacent to the Philippines makes Sulawesi vulnerable to the introduction of new infectious diseases,” said Dr. Luuk Schoonman, FAO ECTAD Chief Technical Adviser during a workshop on the identification and selection of a new area in Sulawesi for the prevention and control of EID and zoonoses using a “One Health” approach, which took place on 24 August 2017 in Jakarta. FAO ECTAD with the Directorate of Animal Health of the Ministry of Agriculture has already implemented this ‘One Health’ activity in three pilot districts since 2015. 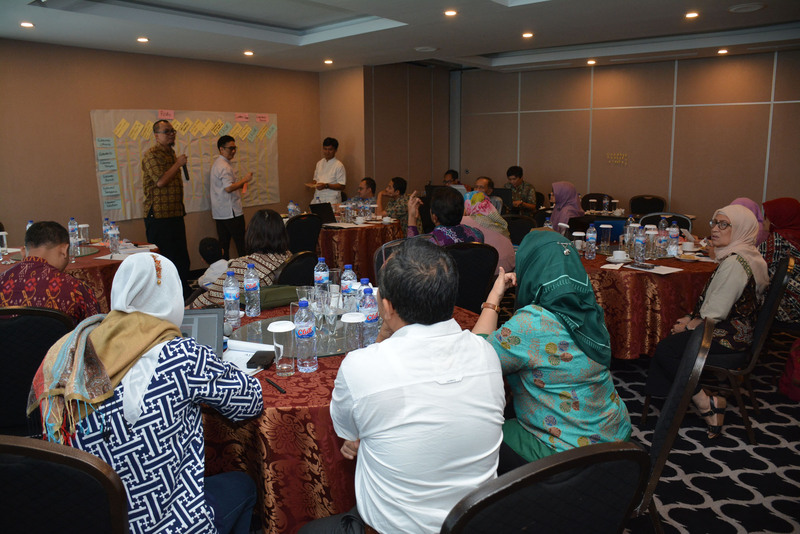 The 3 districts, Boyolali in Central Java Province; Bengkalis in Riau Province; and Ketapang in West Kalimantan, were selected based on the presence of drivers for zoonoses and EID, the potential for spread of these diseases, and the strong interest and support from local government to participate in the programme. Using a ‘One Health” approach, FAO has implemented serial workshops and trainings to strengthen the capacities and competencies of field veterinary service officers, surveillance officers and wildlife personnel in the three sectors namely, Ministry of Agriculture, the Ministry of Health and the Ministry of Environment and Forestry to detect, investigate and respond to EIDs to reduce the risk of disease spread to the public. The One Health program also conducted joint training of the three sectors to increase their technical skills and soft skills for joint outbreak investigation, information sharing and response to control emerging infectious diseases and prevent the emergence of potential pandemic threats. The Director of Animal Health at the Ministry of Agriculture Dr Fadjar S. Tjaturasa, who attended the opening of the workshop, stated that the development of a One Health-focused prevention and control program for EID and zoonoses, involving multiple sectors, is not an easy task. "We always think that it's not hard working across the –sectors; but that's not completely true. Because when we work with more than one sector, especially in regions, we have to interact with people from different educational and cultural backgrounds. It can be quite challenging,” said Fadjar. In the future, Dr. Fadjar expects, the implementation of a ‘One Health’ approach in several pilot districts can be used as a model to control emerging infectious diseases and zoonoses, which can be applied in other regions by using Standard Operating Procedures (SOP), which are developed and tested in the pilot areas.